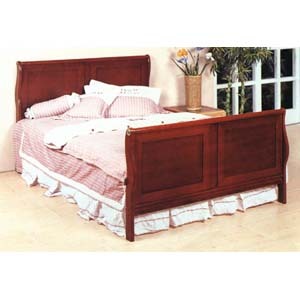 Four Panel Cherry Finish Queen Size Sleigh Bed. Easy To Assemble. Strong Construction. Dimensions: 59-3/4W. X 44H/32H. Rails are not included in the price.